During the George veldt fires end of last year, Geelhoutvlei Timbers situated in Karatara, was almost completely destroyed. 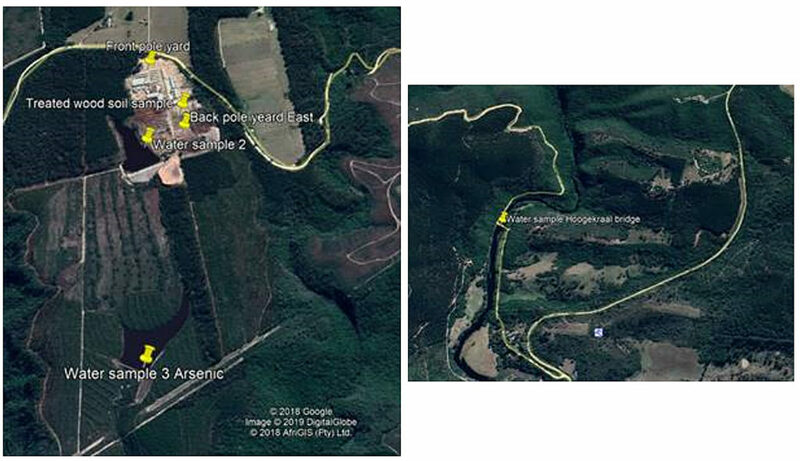 This tragic incident raised fears that Arsenic-treated wood stored on the premises could contaminate the water sources in the immediate surroundings. Geelhoutvlei Timbers reacted pro-actively and contained the Chromated Copper Arsenate used at their treatment plant. Surrounding residents still feared that the locations where the treated timber were stored could downwash into the nearby water sources. In order to determine if this fears are justified, the Garden Route District Municipality Air Quality Unit took representative samples for independent laboratory analysis on 17 January 2019. Outcomes of tests done were made available to GRDM on 14 February 2019. It was confirmed that both water and soil arsenic samples took at various sampling points comply with the Total Concentration (TC) threshold for arsenic expressed as mg/kg or mg/l. RESULT: Detection limits are 0.001mg/l and which is an indication that Arsenic was not detected in the water. RESULT: The Total Concentration (TC) threshold for Arsenic is 500mg/kg. Chemtech laboratory used the Draft Standard for assessment of waste for landfill disposal as reference for thresholds. The Garden Route DM Air Quality Unit is in the process to ensure that the contained arsenic on the premises is disposed of at an approved hazardous waste landfill site (if not done already). The Sub-directorate: Environmental Law Enforcement (Region 3), George of the Provincial Department of Environmental Affairs and Development Planning recently requested the Air Quality unit of Garden Route District Municipality, to do a presentation at the George Campus of Nelson Mandela University (NMU), as part of their annual Structural Practical Workshop. Dr Johann Schoeman, District Manager for Air Quality Officer at Garden Route District Municipality, during his presentation to the students. 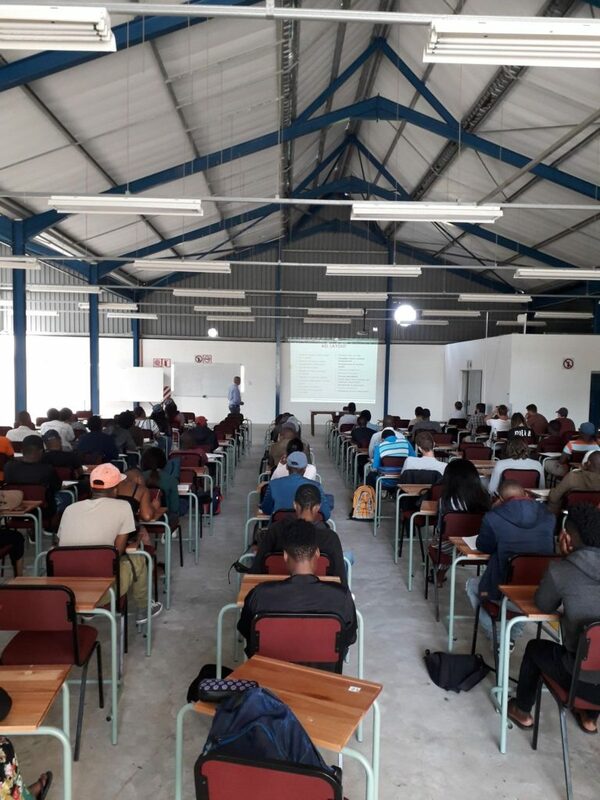 The Air Quality Unit was invited for the purpose to share information and educate the NMU second year students registered on the University’s Forestry and Wood Technology programme, on the basic Environmental Law and Management Principles. This year, the Air Quality Unit once again partook in the session. Dr Johann Schoeman, the District Air Quality Manager, and Mr Angus Andries, the District Air Quality Officer from Garden Route District Municipality, presented the topics ‘Introduction to Air Quality Management,’ as well as ‘Atmospheric Emissions Licencing and the roles and responsibilities of the emission control officers in the Wood Drying industry’. The presentations were well received and the Department of Environmental Affairs and Development Planning commended the Garden Route District Municipality for their input at the workshop. 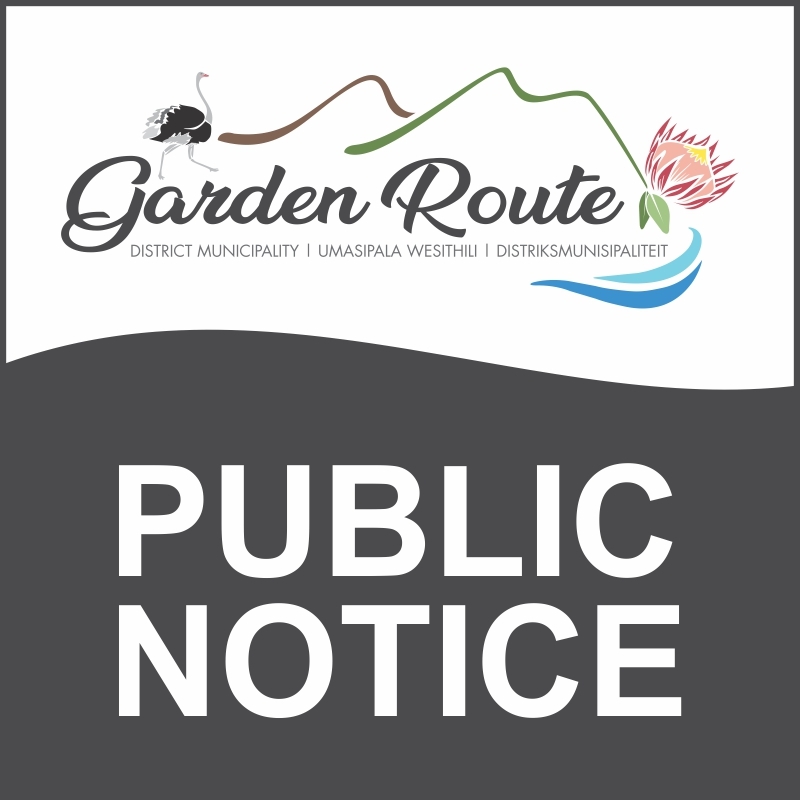 It has come under the attention of Garden Route District Municipality (GRDM) that the public is concerned about smoke emissions in the Knysna municipal area. These emissions are caused by biomass burning at Geelhoutvlei Timbers. This area contains pine wood chips from untreated wood only. No arsenic or treated wood products are stored at the facility and the smoldering is caused by the burning of wood chips. It was already burning before the wildfire destroyed the wood mill. The pollutants emitted by this smoldering area is mainly Oxides of Nitrogen, particulate matter, Carbon monoxide, CO2 and small concentrations of volatile organic compounds – these compounds normally form part of the pollutants emitted when biomass burns. The fire poses no severe health threat to the surrounding communities but will result in a nuisance effect, depending on the distance from the source, the wind speed and or direction thereof. During a joint operations meeting held this morning, 13 November 2018, at GRDM, a decision was taken that the owners of Geelhoutvlei Timbers should be informed that this situation is triggering a National Environmental Management Act, 1998 (Act 107 of 1998 (as amended), Section 30 incident. Section 30 incidents involves, amongst others, the unexpected, sudden and uncontrolled release from a major emission such as a fire. The responsible person in terms of Section 30 is the owner of the property – in this case, Geelhoutvlei Timbers. Subsequently, the owner of the property must take all reasonable measures to contain and minimize the effects of the incident, undertake clean-up procedures and remedy the effect of the incident. If the property owners do not respond to this instruction, the relevant authority may follow steps and implement measures it considers necessary to contain and minimize the effects of the incident. This involves the undertaking of clean-up operations and remedy the effects of the incident. Government may claim for the reimbursement of all reasonable costs incurred at the scene, in terms of subsection (8) of the National Environmental Management Act from the responsible person. 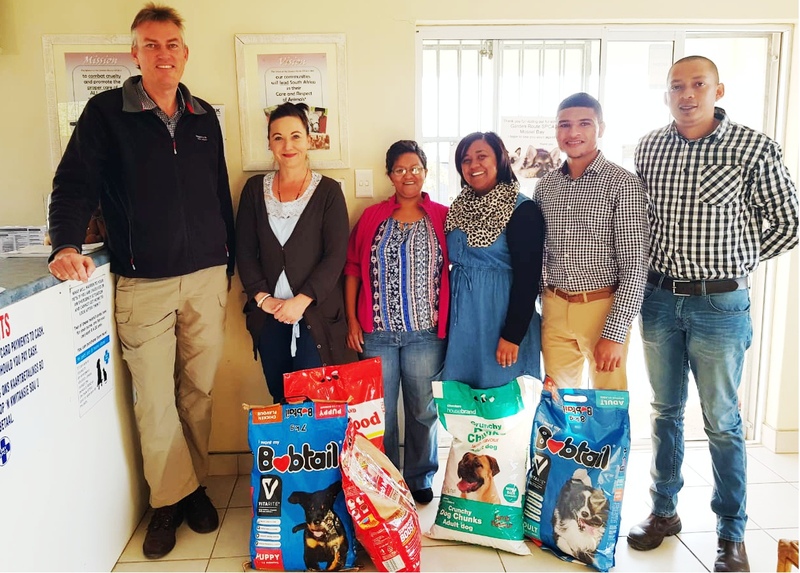 Officials from the Eden District Municipal Health Office in Mossel Bay donated dog food to the Mossel Bay SPCA and also used the opportunity to play with the dogs at the facility. Executive Deputy Mayor of Eden District Municipality, Cllr Rosina Ruiters, Cllr Erica Meyer, Mr Wayne Odendaal, Ms Marlene Losper, Dr Johann Schoeman, Ms Jenay van Niekerk and Mr Angus Andries, participated in the initiative. 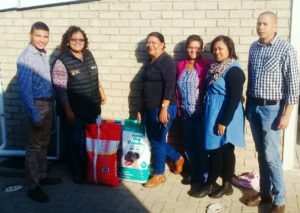 Kennel Manager of the facility, Ms Jolandi Esterhuizen, thanked the team and received the items on behalf of the facility. The National Framework for Air Quality Management in South Africa, 2012, lists vehicle emissions monitoring as a function of a Local Municipality. Not all municipalities in the Eden district have the capacity and facilities to measure vehicle emissions. It is for this reason that the Air Quality Unit of the Eden District Municipality (Eden DM) is coordinating matters pertaining to air quality in the district and subsequently assisting municipalities with vehicle emissions testing. Vehicle emission testing is done by making use of the Smoke Check 1667 Opacity Meter. The opacity meter measures diesel smoke in ‘percent opacity’, which is the percentage of light that is blocked when shining through a smoke plume, which can range from 0% to 100% opacity. 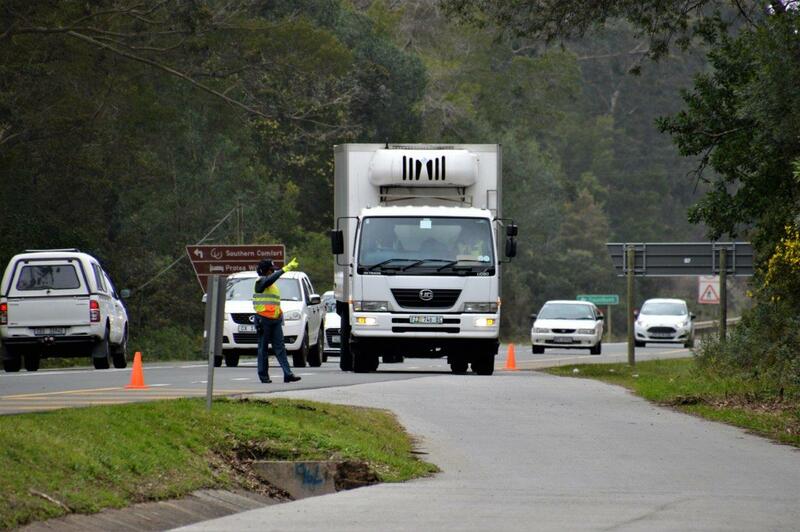 During the 3rd quarter of 2017, Eden DM undertook vehicle emission testing in Mossel Bay, Plettenberg Bay and Sedgefield in collaboration with the concerned local municipalities. A total of 112 diesel vehicles were inspected. Each vehicle first underwent a visual inspection of exhaust gas, and if a vehicle emitted excessive dark smoke, further testing by means of the Smoke Check 1667 Opacity Meter was undertaken. The opacity meter gives a printout of the test results and states if the vehicle complies or not. The local municipality may issue a fine or warning, if a vehicle does not comply. The main objective of this project is to create awareness of vehicle emissions and to minimise the impact it has on ambient air quality in the Eden district. Public awareness plays an important role in protecting the environment for the present and future generations as enshrined in the Constitution’s Bill of Rights. Different role-players worked together to make the project a success. 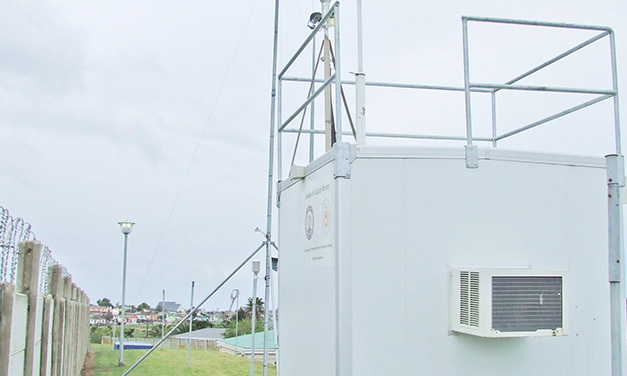 The Air Quality unit of the Western Cape Department of Environmental Affairs, commissioned an Air Quality Monitoring station in Dana Bay during 2011. This was done on request of the Eden District Municipality’s (Eden DM’s) Air Quality unit due to the possible impact of Industrial activity on Dana Bay residents. Eden DM’s Air Quality Manager, Dr Johann Schoeman, said: “The results of the station, over the last 5 year period, did not exceed the ambient air quality standards for Benzene and Hydrogen Sulphide,” was also within the World Health Organisation guideline limits and further added that the station was however vandalized twice over the last year. Schoeman further confirmed that both Eden DM Air Quality and Province decided to relocate the station to a more secure environment. “The Eden DM Air Quality unit then proposed to move the station to the Mossel Bay Air Quality office in Extension 23. The offices are located in a residential area which is also in the prevailing wind direction from Industrial activity. It therefore falls within the scope of a receptor environment and covers Kwa-Nonqaba, Ext 23, 26, and parts of D`Almeida,” Schoeman further stated. Permission was also granted by the Mossel Bay Municipality to relocate at this premises and the necessary building plans were approved. Mossel Bay Municipality also provided the electricity for the station. Techno Asphalt handled the transport of the station to its new location, free of charge. This project is a joint venture between the Department, Eden DM and Mossel Bay Municipality, showing how cooperative governance between Province, municipalities and private sector can work towards the benefit of our communities. Eden DM has full access to the station, as well as the real time monitoring results, which is very helpful towards air quality management in the region. The same goes for the George and Oudtshoorn monitoring stations. Eden DM also want to thank the Provincial Air Quality unit for the costly monitoring of the air quality within the Eden district, to the benefit of our communities and is looking forward to similar future joint ventures. Mr Kamaseelan Chetty, Senior Manager: Air Quality Information at the South African Weather Services, approached the Eden District Municipality (Eden DM) for a fact finding mission to the Eden DM Air Quality unit on 23 and 24 November 2016. The SA Weather Service has current service agreements with certain Provincial and Local authorities, to assist them with capacity building of their respective Air Quality units. The purpose of the visit was to explore and learn best practices in respect of air quality, from the Eden DM Air Quality unit. The team consisted of officials from the City of Tshwane, the SA Weather Services, Gert Sibande District Municipality, Nkangale District Municipality and the Mpumalanga Department of Environmental Affairs. During the visit were (in no particular order): T. Hlanyane, S. Maruleka, N. Mpho, M. Mahlalela, K. Chetty (Facilitator- SA Weather Service), N. Potwana, E. Msatshe, B. Gericke, T Godobedzla and Dr Johann Schoeman (back, right) from the Eden DM Air Quality Unit. On day one of the visit, Eden provided an introduction and background in terms of air quality management in the Eden district (how it all started, initial and current structure and lessons in establishing the function at district level). Aspects such as the Eden DM air quality management planning and Air Quality Management Plans, the Air Quality Bylaw, atmospheric emission licensing, enforcement and the Eden Air Quality Working Group, Air quality monitoring (ambient, in-stack) & vehicle emission testing, were covered. The team then joined the Eden Air Quality Working Group on day 2 of the visit. The SA Weather Services thanked Eden DM for the valuable lessons learned over the two day mission, where after the Eden DM team provided the visiting delegation with the necessary information, templates and systems to use as best practice for their respective air quality working environments. “The Air Quality unit feels honored that they were approach out of all the Air quality units in SA for this fact finding mission,” concluded the Eden DM Air Quality Manager, Dr Johann Schoeman. 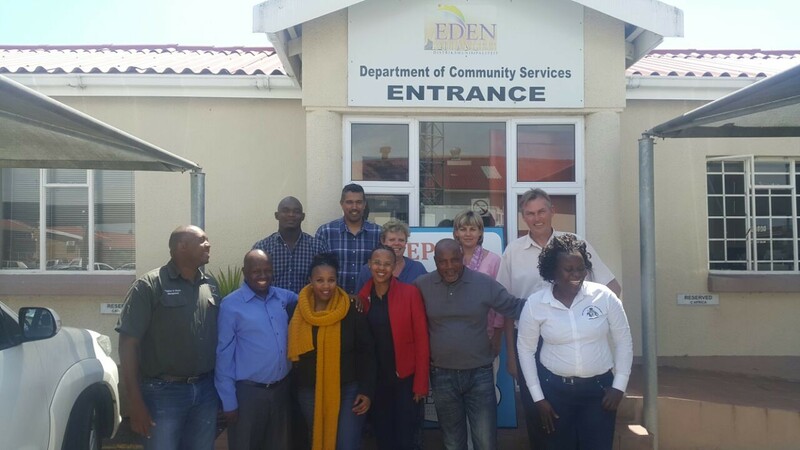 21 October 2016 marked another victorious day for Eden District Municipality (Eden DM) and in particular, the Department: Community Services when they won the Western Cape Greenest District Municipality Award, for the fourth consecutive time and on top of that received R130 000.00 prize money. This announcement was made during a prestigious event which was hosted by the Western Cape Department Local Government, Environmental Affairs and Development Planning, at the Devondale Golf and Wine Estate, in Stellenbosch. The awards were handed over by the Provincial Minister of Local Government, Environmental Affairs and Development Planning, Mr Anton Bredell. 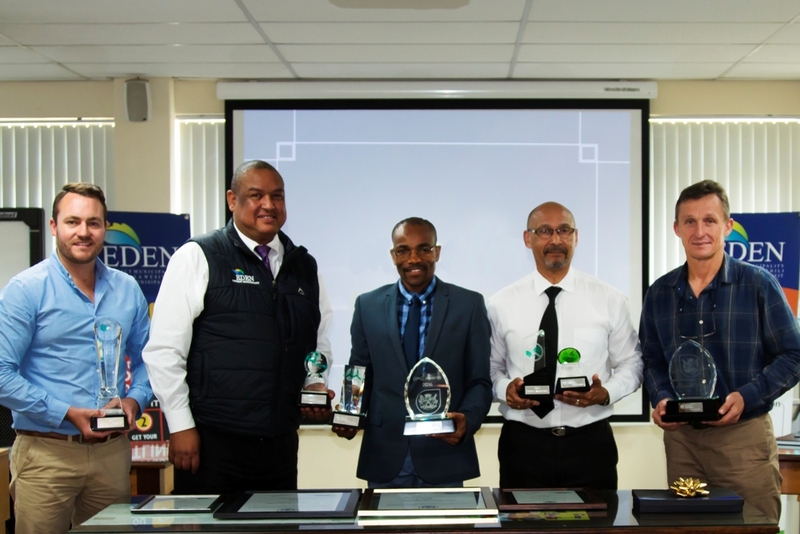 During the press conference (fltr) : Mr Johan Gie (District Waste Management Officer), Mr Clive Africa (Executive Manager: Community Services), Cllr Memory Booysen (Eden DM Executive Mayor), Mr Godfrey Louw (Municipal Manager) and Mr Johan Compion (Manager: Municipal Health & Environmental Services) with the awards won at the annual Greenest Local Municipality Awards ceremony. Mr Clive Africa, Executive Manager of Community Services and his team, worked hard to keep the Eden district “green”. Excellence in service delivery has once again been achieved, exactly as the Eden DM vision reads: “Eden, a future empowered through excellence”. During a press conference held to announce Eden DM’s achievements, Municipal Manager, Mr Godfrey Louw, congratulated all role-players for a job well done. He elaborated that excellence is one of the municipality’s seven (7) values and in cohesion with Eden DM vision; this achievement portrays a true testimony of service delivery outcomes, par excellence. 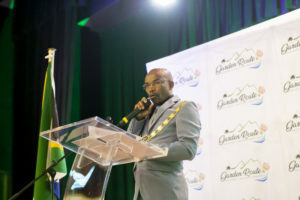 “Today, I consider myself as one of the most fortunate Mayors in South Africa, who took over a ‘well-run machine’, after the 2016 elections,” said Eden DM Executive Mayor, Cllr Memory Booysen. “A municipality who received a clean-audit in the 2015/16 financial year; a municipality who won the South African Toughest Firefighter Alive Championships and now this past week, received the Western Cape Greenest District Municipality Award, for the fourth consecutive time.” Furthermore, Cllr Booysen extended his congratulations to the other municipalities in the district who also received awards. In conclusion he mentioned that in order to ‘stay up there’, as Executive Mayor he will make sure that management and officials receive the political support in order to promote service delivery. In addition to this, the district also won awards for the “Clean Fires Campaign and the “Innovation Award” for the Enviro Health Application that is currently being used by Eden DM Municipal Health officials. In a very humble manner Mr Africa explained: “This award is a beautiful collaboration of love, labour and service. It would not have been achieved without strong team work. Mr Godfrey Louw, the Eden DM Municipal Manager, our Councillors, officials from Supply Chain and Corporate-/Strategic Services, including Administration Staff and Cleaners, all played a vital role in our success. This is proof that our vision of ‘Excellence’ has once more been achieved through focusing our energy towards service delivery to the valuable people of the Eden district”. The profound leadership of Mr Johan Compion must be acknowledged, as well as the dedication, passion and commitment of Dr Johan Schoeman, Mr Morton Hubbe, Mr Johan Gie and Mr Vernon Gibbs-Halls. Eden DM also won the award for innovation for the implementation of a Cell Phone App to improve service delivery and its efforts to inform communities about fire safety with the Eden Clean Fires Campaign. “Air Quality ambient monitoring is a statutory requirement of District Municipalities, in terms of the National Environmental Management: Air Quality Act, 2004 (Act 39 of 2004). Until recently, the Eden District Municipality (Eden DM) Air Quality Unit made use of passive sampling, which is not ideal for accurate monitoring purposes. In the current financial year, provision was made on the capital budget, for the procurement of a Mobile Air Quality Monitoring Station. The Supply Chain Management processes were followed, where after the tender was awarded to C & M Consulting, for the purchasing of a Mobile Ambient Monitoring Station, the Scentinal SL50. The Scentinal SL50 provides ambient odour emission monitoring, based on high accuracy (ppb level), detection of odorous gases such as Hydrogen Sulpide (H2S), Ammonia, Volitile Organic Compound (VOC’s), Sulphur Dioxide (SO2) and other chemical compounds, depending on user specification. The system allows up to 20 sensors to be optionally incorporated into one Scentinal package. It also allows remote live monitoring of plant emissions on Scentroid’s cloud servers or locally from the Scentinal’s on board display. Scentinal SL50 comes in a NEMA4x cabinet, to operate within ambient environment between 4 to 35 degrees Celsius. Optionally, each SL50 can be equipped with an air conditioning system for temperatures between 35 to 60 degrees Celsius. The station is also equipped with a heating system for temperatures ranging from 4 to -30 °C. The Scentinal can be used almost everywhere, indoor- and outdoor installation is possible. It has two options for live monitoring, one being remotely on a secure cloud based server or locally with the on-board touch screen. The system can be configured remotely or locally. Access is restricted, and the data is encrypted for maximum security. Users will have access with a unique password and username, which will define their permission level. This Scentinal SL50 Station will assist Eden DM in determining the impact of air pollution, and will serve as a screening method for possible risk areas. The station is also essential for dealing with air quality related complaints. It is mobile and easy to commission and operate. “This is the 1st station of such a nature used by a District Municipality in the Western Cape,” said Dr Johann Schoeman, Eden DM Manager: Air Quality Control. The Scentinal SL50 Station is in high demand and will be used in the hot spots areas throughout the Eden district. It is also solar operational in areas where there is no electricity supply. The only disadvantage is that it has to be guarded or placed at locations where it is secure. The station with all its accessories cost R480 000. On Monday, 12 June 2017, the Air Quality Unit held a press conference during which Dr Johann Schoeman explained to the media that Eden DM is confident that the station will assist them with the objective of determining the impact of air pollution in the district. The station was also recently located in Knysna at the Provincial Hospital. The reason was to determine the aftermath of the possible air pollution impact on the residents. There were a few spikes of Carbon monoxide and Particulate matter. This may well be due to some fires still smoldering as well as the current dust situation due to loss of vegetation. There were however, no exceedances of the National Ambient Air Quality standards after the fires.